I captured this candid shot of the groom helping the bride on the stage as the bride made her entrance. This was at a Pakistani wedding in NYC. I really like this photo because I think it's taken from the very best angle. As a professional wedding photographer you have to know exactly where to be to get the best shot. Location: 345 Hicksville Rd, Bethpage, NY 11714. 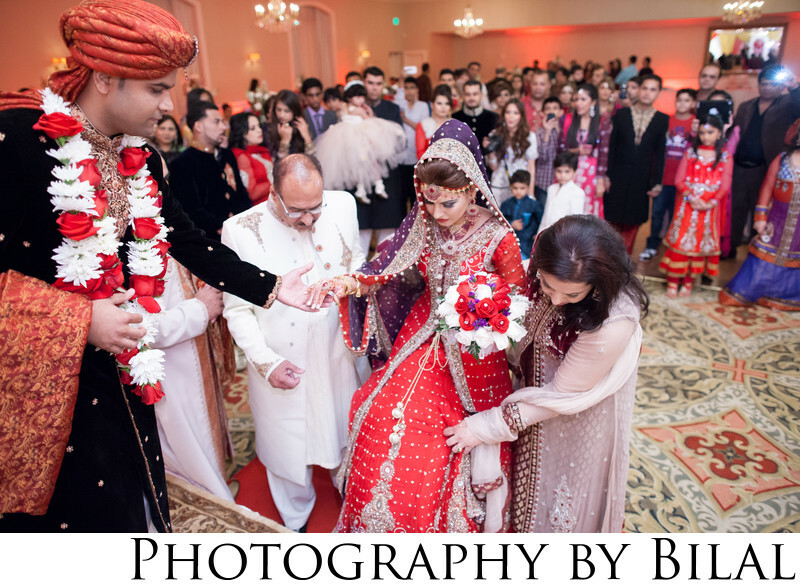 Keywords: best nj photographer (6), muslim wedding (6), NJ wedding (63), nj wedding photographer (81), pakistani wedding (12), photography by bilal (24), shaadi (9), shadi (6), villa at mountain lakes wedding (6).